Eddy K Milano Style MD211. Scoop, Beading, Cap Sleeves, Fit-n-Flare. Colors: Ivory / Silver / Skin. Light Gold / Silver / Skin. Eddy K Milano Style MD209. 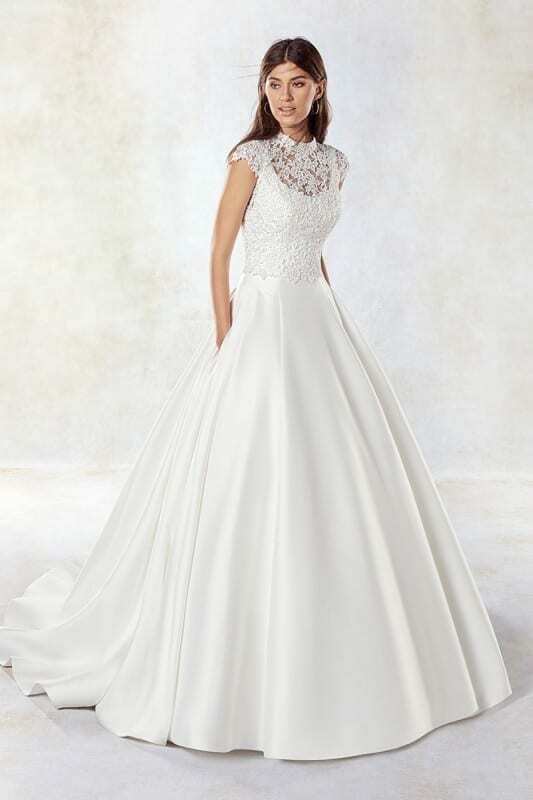 Scoop, Lace / Beading, Cap Sleeves, Fit-n-Flare. Colors: Ivory / Skin. Champagne / Ivory / Skin. Bouquet Style AK165. Material: Lace / Tulle. Colors: Champagne / Ivory. Ivory / Ivory.